Australian workplaces have traditionally been community environments that welcome all kinds of people. From morning teas, birthday celebrations, weekend catch-ups and bonding over shared passions of sports, music and even art, the workplace has proven to offer far more than an income to the people willing to get involved. Relationships, friendships, marriages, lifelong mates and numerous other connections spawn from within a workforce and with Australian’s sport obsession, it was inevitable that workplaces would one day come together in the name of sport. 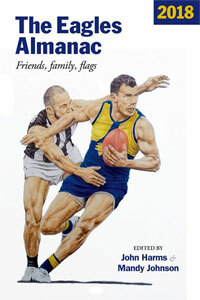 Australian Rules Football in the Australian workplace has been the forefront of forging connections between people. Whether it be through discussion or play, it led to a spark among many blue and white collared workers who wanted to take their passion and interest of the game one step further. Throughout Australia’s history, through wars, depression, drought and tragedy, good times and prosperous growth, Australian Football has remained a constant. A place to go to escape the harsh reality of life. The legendary Monday morning post-match dissections around the coffee pots became common practice, leading into the building excitement for the weekend prospect ahead. Why couldn’t they, the workers play the great game too? There was enough leisure time outside the workplace to have freedom, but still surround themselves with their workmates in a way that would keep up the relationships in a more open form – football. Australia has a tradition of club sport, unlike any other country in the world. Local sports clubs have been established almost completely on the basis of geography. Suburbs and towns are littered with active sports clubs of all kinds, which are accessible for anyone to play their game. ‘Locals’ are encouraged to participate. By 1902, it was common to see workplace and trade football teams in many Melbourne suburbs, especially around inner city Footscray, South Melbourne, Carlton and Collingwood who were bursting at the seams with workers who were eager young football lovers. The trade and workplace leagues were instituted as additional options to suburban club competitions which usually took place on Saturdays. Workplace football teams and leagues were a way, on top of the already thriving amateur clubs, to invite people into the game. Some players who played in the higher leagues (such as the VFL on Saturdays) were also committed to their trade sides mid-week. An example of this two-team clubman was Richmond legend Jack ‘Captain Blood’ Dyer. Dyer, who was one of the inaugural Australian Football Hall of Fame ‘Legends’, had an interesting past of trade and suburban football combined. Dyer commenced his playing career at St Ignatius School and then went on to play for Richmond Hill Old Boys on Saturdays in the very tough Metropolitan Junior League. At the same time, he was also involved in what The Age quotes as ‘a brutal’ Wednesday Trades League where he played for the Yellow Cabs. 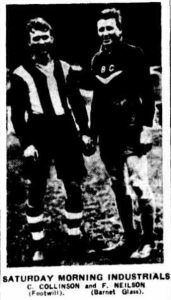 The Wednesday Football League, where Dyer played, was one of the strongest Trades competitions in Victoria, spearheading and inspiring many workplace teams to branch out into other competitions pre-and post-World War II. The league contained 12 worker sides from a variety of trades around Victoria, including market employees, Taxi drivers and the Air Force. 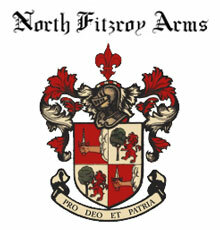 The League peaked after World War I with many of the returned soldiers still keen to keep involved in the local suburbs and make their trade proud. 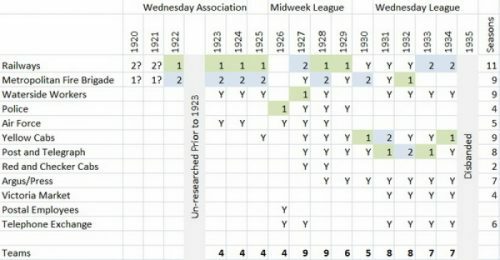 This list shows the teams that competed in what began as the Wednesday Association in 1920, eventually becoming the Wednesday League in 1931, before it drew to a close in 1935. This movement of Workplace and Trade Football competitions, can be traced back to the English influence. One of the most famous and successful sporting clubs in the world is Arsenal Football Club, who play in the English Premier League. The ‘Gunners’ as they are fondly known, were founded in 1886 by a group of munition employees as ‘Dial Square’ from the Dial Square Workshop at the Royal Arsenal, the armaments factory in Woolwich, Kent. From Dial Squares first match in 1886 and their early success after adapting into the ‘Royal Arsenal’, the Gunners won multiple local trophies and National Cups, eventually, leading to the Premier League champioships and European Cups where the side has had extreme success. Although many similar workplace sides did not live to make it professionally, Arsenal has truly stood the test of time. 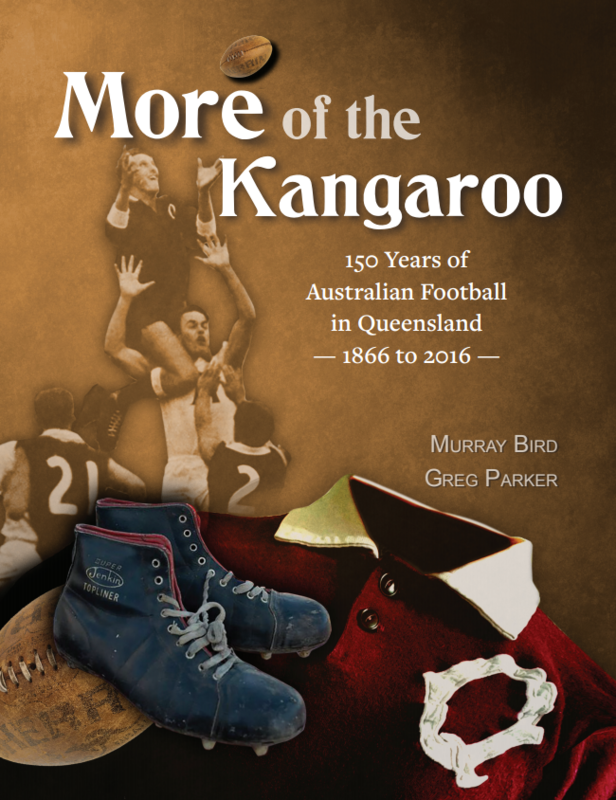 Likewise, in Australia, the workplaces from metropolitan to rural locations, were full of capable and fit men who were keen to combine in the name of sport. Some workforces created just one side to contest in metropolitan and country competitions, while others strung together whole leagues based on their own industries alone. Some key football competitions were born out of a trade alone or were included in wider competitions. Some leagues lasted up until World War I and many until World War II, with some combining again post wars in new competitions or revamping old ones. 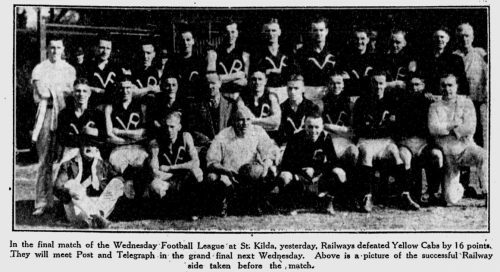 The Saturday Morning Industrial Football League (SMIL) was formed in Melbourne in 1927 and remained in place until World War II. 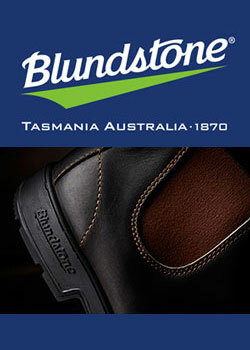 Teams in the competition included Abbotsford Brewery, Carlton Brewery and Harold Shoes. All sides spawned purely from their workplace. Some weeks, sides could not field a team due to injuries at work, as many of the factory jobs were rigorous and dangerous. In the early 1900’s the Wednesday Football League (WFL) was formed to allow Melbourne employees who worked on Saturdays a chance to play football. The idea to begin games on Wednesdays was innovative, keeping the workers interested. One of the main teams out of this league was Port and South Melbourne Trades Football Club formed in 1904, winning the premiership after only their first season in the competition. From there, the interest in the Wednesday night leisure was affirmed, as the side became the South Melbourne Trades Football Club. 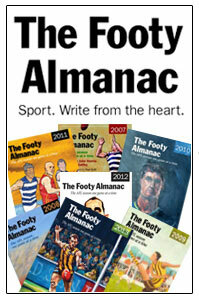 Another notable side in this league was Collingwood Trade who won three premierships in a row during this time. One of the oldest and strongest metropolitan competitions the Victorian Amateur Football Association (VAFA) has been standing for 126 years. The VAFA boasts more than 10,000 registered players currently and holds twenty three levels of competition. The VAFA is one of the longest standing supporters of Workplace teams, especially supportive of the Bank teams in the mid-1940s, including Commonwealth Bank, State Bank, ES and A Bank and ANZ Bank. 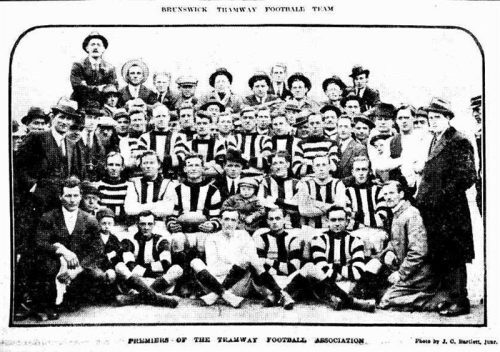 The Victorian Tramways Football Association (VTFA) recorded their first sides in the 1860s. The most memorable side was Hobson’s Bay Railway team, who were so prominent in the competition that they were invited to the VFL clubs’ meetings from the late 1870s. The league which survived until the 1980’s, was at its true highest point before World War II when the games were reported regularly in state-wide newspapers. While most players were actual tram employees, many rumours spread that handy players were given jobs at tram depots in order to bribe them into Tramways footy instead of higher level football. It’s clear that workplace football teams helped shape our community and local sporting landscape over the past 140 years by giving thousands of young working men the opportunity to gather and play sport outside their work place, with their work mates representing their trade and employer. Sport brings people together. Work brings people together. Combine the two and you have the perfect balance of involvement, enthusiasm, pride, loyalty and a desire to belong. Captain Blood: Jack Dyer as told to Brian Hansen (Book). Anna 'Pav' Pavlou is a current student and a born and bred Melburnian who has a passion for sport and sharing people's stories. She is an intern journalist for AFL VICTORIA and writes for The Roar, the Victorian Amateur Football Association (VAFA Media), the Mongrel Punt and is a Melbourne Cricket Club contributor. She also appears on North West FM 98.9 radio show. Most winter weekends you'll find her down at the Ross Gregory Oval in St Kilda, supporting Power House FC, who play in Division 2 in the VAFA. She works as the Division 2 writer for the VAFA. She completed work experience with 3AW Radio and has been published in The Age as well as with Carlton FC and Geelong Cats. Check out her website below for more sport pieces! The Jack Dyer references to the Wednesday League are are such a colourful part of his book. And workplaces were also integral to the early days of women’s footy. The Lucas team in Ballarat broke very early ground. Terrific stuff. Look forward to the next installment. In the Ammos in Adelaide, there were teams like Post Tel, Railways and ANZ Bank but I think that they last appeared in the 80s (along with work social clubs and Friday night drinks, I suspect) and played against club sides. I can think of a few local soccer and cricket teams that played in Adelaide’s suburbs which were affiliated with employers such as the ETSA and ATCO cricket clubs and the Tube Mills soccer club. It’s an interesting story you’ve compiled here Anna. Thanks for working through the process and giving the topic a solid grounding. I’m looking forward to seeing your in-depth look at a workplace team. INterested to see which one you choose. Torch McGhie on the Coodabeens also references playing for his Tax Office branch in the 70’s against other public servants. I would be interested in knowing more about that League. you have a great career ahead. That’s a very interesting story. Congratulations on taking this chance with both hands. I had no idea there were Wednesday footy leagues. Fascinating. A glance at http://www.adelaidefootball.com.au/saafl-clubs-entry-and-exit/ reveals some corker workplace football club names. Imagine pulling on a guernsey to face Long Range Weapons. Kelvinator would have been cool to play for. And Holdens Motor Body Builders would have to have been solid opposition. This is really good stuff, Anna.